Next Saturday, Sep 29 various buildings in Stratford, St Marys and Perth County will be open to the public from 10am to 4pm as part of the Doors Open Ontario program. In St Marys, taking part will be the Wonders of St Marys - St. Marys Town Hall, Public Library, Museum, VIA station and Baseball Hall Of Fame, as well as the Westover Inn, 300 Thomas St. In Stratford, open part will be Anything Grows (the former Perth Brewery) 235 St. Patrick Street; the former furniture factory at 163 King Street; Stratford Festival's Costume Warehouse at 350 Douro Street with free, guided tours offered on the half hour from 10:00 a.m. to 3:30 p.m.; Gallery Stratford, 54 Romeo Street; Knox Presbyterian Church, 142 Ontario Street; Perth County Courthouse, 1 Huron Street; McDonald-Creasy House, 77 Brunswick Street. In Perth County, open will be the Presbyterian Church and Fryfogel Tavern in Shakespeare; Hoffmeyer’s Planing Mill, 189 Huron Street, Sebringville; Fullarton Forge, 3186 Perth Road 163, Fullarton; Avonton Presbyterian Church, 3401 Perth Road 130; St. Patrick’s Church, Kinkora. The Rt. Rev. Bruce Howe will be coming to St Marys this Sunday, Sep 23 to celebrate the service of confirmation at St James' Anglican Church, 65 Church St. South at 10 am. All are welcome. 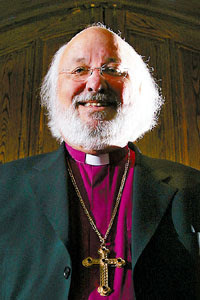 Bishop Howe has been Bishop of Huron since 2000. Earlier this year, he was one of 4 nominees for the position of Primate of the Anglican Church of Canada. Eventually elected was Bishop Fred Hiltz of the Diocese of Nova Scotia and Prince Edward Island. The Diocese of Huron is currently celebrating its 150th anniversary year, which will culminate with a worship service at the John Labatt Centre, London, Ontario on October 28th. It is expected 10,000 will attend. The 4th annual St. Marys Storytelling Festival will take place this weekend on the Flats, Water St N. Admission is by donation with 23 storytellers and musicians performing. 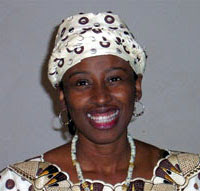 Friday night’s festivities begin with a family concert of stories and music suitable for adults and children aged four and up at the Family tent at 7 p.m.
On Saturday at 11 a.m., Adwoa Badoe, author/storyteller/dancer from Ghana, will tell stories in the children’s tent. Beginning at 1 p.m., storytellers will continue the Canada in Story and Song programming in the Family tent, with engaging storytellers in the Adult and Children’s tents until 5 p.m. At 8 p.m., a concert of Ghost Stories and other tales, suitable for ages eight and up, will take place. Sunday begins with a free story swap from 10:30 a.m.-noon, and the festival concludes at 2 p.m. with a special concert honouring grandparents and elders on Grandparent’s Day.